1 Million for Work Flexibility has more than 90 organizations on board to date as part of our coalition—and counting. We’re pleased to share more information about our supporter Appen in this Q&A. You would expect a company that has expertise in everything from speech recognition, localization, and content relevance to machine translation and natural language processing to have a global footprint. What you might not expect is that the company would build that success while leveraging both an office- and home-based workforce. Appen has managed to do just that by merging the cultures of different companies. Appen was founded in Sydney, Australia, in 1996 as a traditional, office-based company. In 2011, it merged with the Butler Hill Group, which was based in Ridgefield, Conn., and Seattle, Wash., and used virtual teams with members scattered across the United States. When the two came together, they were able to leverage Appen’s strong technology base to build on the best elements of both companies. Leadership teams that were well-versed in managing change built a company that is governed by a core value system emphasizing high quality and agility. Appen has grown rapidly during the last few years and is now a publicly traded global entity with a wider client base than ever before. It plans to keep growing, thanks to its unique culture that includes a highly skilled independent contractor crowd. In this Q&A, Rachael Pappas, Appen marketing associate, talks about the company’s dedication to flex and how that has helped it succeed. 1MFWF: As a global company that also focuses on knowledge of different languages and cultures, Appen must face many unique challenges. What are the biggest challenges posed by the company’s global footprint, and how have executives and front-line employees overcome those challenges? Appen: Appen’s staff comes from all over the world. Our collective experiences in linguistic and language capabilities, along with Appen’s core strength in language technology services, provide us with a strong ecosystem of different languages, dialects, and cultures. This is vital as we continue to receive unique and at times challenging requests from clients. Some may involve incredibly specific dialects with small speaker populations, or require large teams of independent contractors in multiple, far-flung countries. It can be incredibly challenging to meet such varied needs; however, it is a hurdle we jump daily with the help of Appen’s Davao City office. Located in the Philippines, our full-time recruiting team identifies and qualifies exceptionally skilled independent contractors for projects, making sure they bring the right skillsets to the table through extensive testing and qualifications analysis. 1MFWF: Appen is clearly committed to offering its employees opportunities to telecommute or undertake other flexible work arrangements. How did this focus evolve over the years? Appen: Telecommuting is a large part of Appen’s culture, and it evolved into a partially virtual company due to its Butler Hill roots. The Butler Hill executive team resided in multiple time zones across the United States. In order to conduct business in a productive and profitable way, we were always open to providing our employees with the flexibility of working from home. These arrangements are now offered strategically across the globe alongside our traditional in-office settings in Sydney, Washington, California, and the Philippines. 1MFWF: What challenges did Appen face as such programs grew, and how did it overcome them? 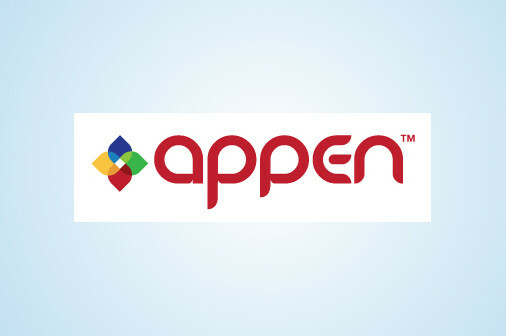 Appen: The main challenges we faced while experiencing accelerated growth primarily involved having the right people, technology, and internal processes that not only made sense, but also helped us improve our unique global business model. We addressed our growth with an agile mindset, bringing on people with the skills and flexibility to work with teams across multiple time zones. Effective and relentless communication was mandatory, as well the right technology toolkit. 1MFWF: What benefits has the company seen as a result of its commitment to flex work? How have employees reacted to these opportunities? Appen: The flexible model has not only kept our retention rate and productivity high, but also garnered exceptional loyalty from our employees. They appreciate and respect their jobs and the commitment flexible work takes. We definitely fall into the work hard/play hard category. High performance is acknowledged, and people are rewarded appropriately. Meanwhile, one of our core values, work-life balance, encourages employees to not forget the importance of their personal well-being. 1MFWF: What, in general, are Appen’s plans for the future? How will the company’s commitment to telecommuting help it to achieve those goals? Appen: We are continuing to build on our strong foundation and are diversifying our offerings through various language technology services, including speech recognition, machine learning, localization, ecommerce, globalization, and more. We are always actively investing time and energy into researching new opportunities where speech and search technology can be applied to the betterment of our clients’ businesses. Telecommuting creates an environment that is versatile, agile, and can respond to clients’ needs at a rapid pace. Knowing that the trend is continuing to grow more and more towards global independent contractor models means we are already ahead of the curve!